Common reptile and amphibian facts, trivia, and questions, ranging from favorite species to field herping discoveries, and everything in between. Q: Do you recommend any particular online reptile and amphibian supplier? 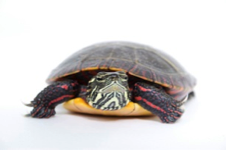 A: If you're interested in purchasing a live reptile, amphibian, or invertebrate, I highly recommend Backwater Reptiles. They have a tremendous selection of healthy reptiles for sale, including lizards, snakes, turtles, tortoises, alligators, and caimans. Their amphibians for sale include frogs, toads, salamanders, and newts. They even have scorpions, tarantulas, and other insects for sale. Q: Who is behind Reptile Revolution? A: You can read the About Me page if you're curious. Q: What was your first reptile or amphibian? A: It was on my birthday in 1986. My mom picked my friends and I up at school, and we drove to Twin Cities Reptiles in Minneapolis where I bought a Tokay gecko for $15. 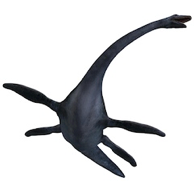 Yes, it later escaped, and my dad spent a considerable amount of time tracking it down. He remembers it vividly. 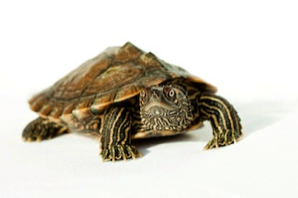 Q: What was your favorite reptile or amphibian pet growing up? A: A Sudan Plated lizard (Gerrhosaurus major) I got for Christmas in the late 80's. It was, without question, the most tame reptile I've ever owned. It was also the largest lizard I'd ever had at the time. An amazing and memorable experience. Q: What species of reptile or amphibian would you like to keep most? A: Oh that's easy. Pygmy desert monitors (Varanus eremius), Mossy frogs (Theloderma corticale), Hellbenders (Cryptobranchus alleganiensis), Mata-mata turtles (Chelus fimbriatus), and Anthill pythons (Antaresia perthensis). Q: Do you have a favorite reptile supplement? A: I've had great success with Rep-Cal calcium with vitamin D3, and Rep-Cal Herptivite vitamins. Miner-all is great too. Their listed in my must have reptile supplies. Q: What is your favorite reptile magazine? A: Basically, the only one. Reptiles magazine. The Vivarium was really the first reptile magazine, launched in 1988, and I still have quite a few copies. It was excellent—I really enjoy re-reading the issues. Unfortunately publication ceased around 2000, and I'm still not sure what happened. But, Reptiles magazine is the only game in town now, and probably because it appeals to a much wider audience. Each monthly issue contains a cover story written by an expert, vet Q&As, classifieds, mailbag, side articles, and more. My favorite is always the cover story. Q: How are newts and salamanders different? A: Newts are salamanders. Salamanders, however, are not always newts. Think of it this way: a sports car is a type of car, but not all cars are sports cars. 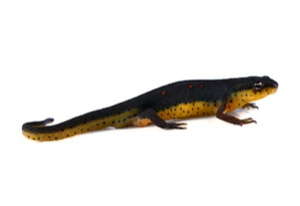 Behavior-wise, newts generally, but not always, spend more of their adult lives in streams, ponds, and lakes. Newts are actually just a subgroup of the salamander family. So, in essence, the term "newt" just describes a particular kind of salamander (usually meaning a more aquatic salamander). The above picture is one of my absolute favorite newts: the Red-spotted Eastern newt (Notophthalmus viridescens). Q: Do you believe in the Loch Ness monster? A: Well, I took a trip to Loch Ness in the Scottish highlands in early April 2011, and you can read about it on my Loch Ness Monster page. It was a fantastic and utterly memorable experience. Q: What is the reptile and amphibian law HR669 that I keep hearing about? A: It's a tad scary, to be honest. Under the intentional guise of protecting U.S. native species, this proposed law would effectively ban the purchase, sale, transport, and breeding of non-native reptiles and amphibians (as well as fish, birds, mammals, and invertebrates). There are certain exemptions for some animals, such as cows, chickens, and pigs, despite the ironic fact that these are some of the most proven disease-carriers. The definitions are vague, but the intentions are clear. This is a radical proposal with a litany of blatant flaws. The passage of this deceitful proposal would also obliterate the pet industry, destroy environmentally-friendly captive-breeding programs, and eliminate thousands of jobs. Oh, and it completely ignores plant species, many of which are tremendously damaging to our native lands. Fortunately for reptile and amphibian hobbyists, this ridiculous proposal was quickly muted. For now. Here are some details regarding the politicians who supported its passage, including their respective party and location. For some reason, it received notable offshore support. Q: What's the strangest thing you've ever read on a reptile forum? "If there was a large Reticulated python versus a 450-pound mountain gorilla, who would win?" I mean, this person was serious, and was specific—not just any gorilla, a mountain gorilla. Q: How do you review a reptile or amphibian book or film? A: Fortunately, I really enjoy reading about reptiles and amphibians, so it's not really work at all. Whether it's a book or a film, my strategy is essentially the same: I take a lot of notes. Once I finish the book or film (I finish all the them in order to post a fair review), I re-read my notes and type up a summary based on my conclusions. Here are my reptile and amphibian book and film reviews. Q: Where are your reptile and amphibian reviews? A: You can read extremely brief, very high-level reviews of different popular reptiles and amphibians based on our experience.